I really love how skin tones turn out in these black and white images. And I remember from having my own baby how nice it was to have skin to skin contact and how precious those moments were to me. I never took the time to find a photographer back then (nearly 12 years ago) and I really wish I had. I have very few photographs of me with my daughter and what I do have are no where near the quality you can see here. This is something I will always regret. 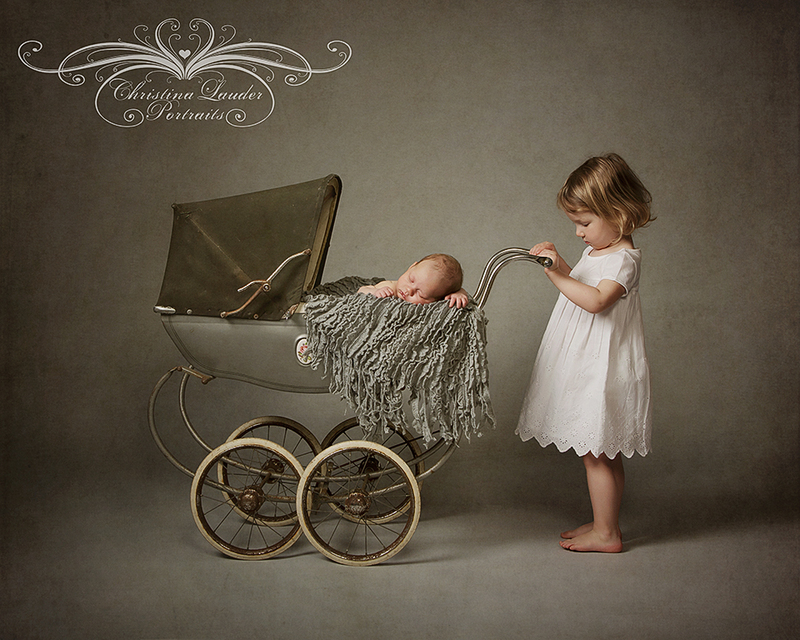 Creating images such as the baby on the weighing scales and in the pram is so much fun for me. I think they have such an artistic feel to them making me feel like so much more than a photographer. I feel like the artist I've always wanted to be. 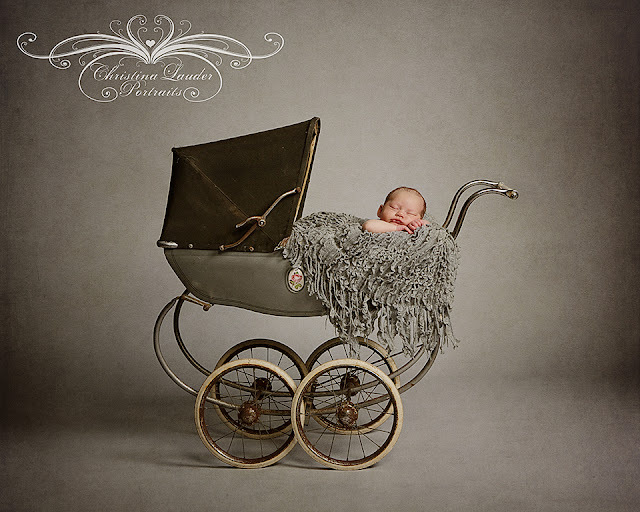 Again, these are the sort of images I wish I had of my own baby. I have artistic pieces of her as a child but nothing from when she was this little. 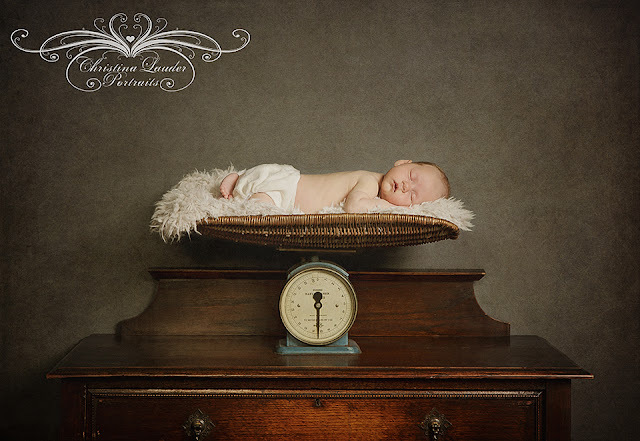 If you or someone you know is looking for baby portraits such as these please get in touch as soon as possible to ensure we can fit you in. Baby portraits taken at the newborn stage are best done within the first 10 days. It is much easier for everyone and it usually means both Mum and Dad can attend before Dad needs to return to work. I've been told many times before that watching the session is quite enjoyable for the parents and they are glad they didn't miss out. To get in touch either ring us on 01455 611069 or contact me via our website here. You are welcome to come in for a no obligation consultation to discuss your requirements and to hear about how it all works. Its also a good opportunity to get to know each other a little. Thank you so much Christina. The portraits are all stunning. You're very welcome Helen. Glad I could produce something for you a second time.